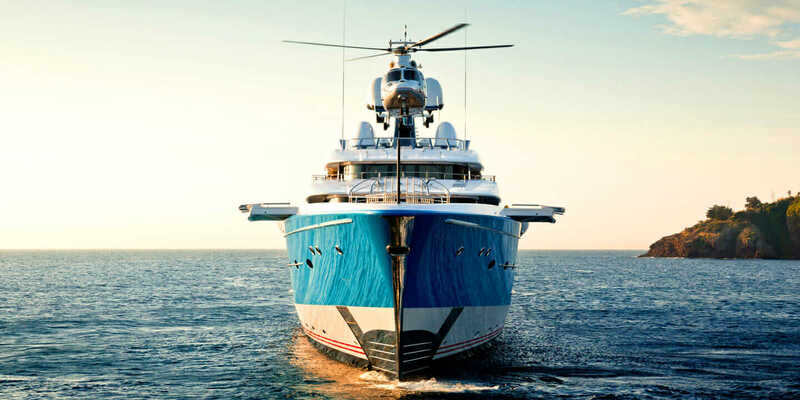 The award-winning Madame Gu, designed by Andrew Winch and built by Feadship. Courtesy Jeff Brown. The unveiling of the late Zaha Hadid’s breezy and curvaceous 420-foot Unique Circle Yachts drew attention to an undeniable trend: More and more architects are designing superyachts. With the right package, there’s certainly money to be made in naval architecture. In 2016, the rarified superyacht industry tallied 87 boat sales, from Broward’s $650,000 Mia to Hakvoort’s nearly $60 million luxury liner, Something Cool. But designing a building and designing a boat present different challenges—one being that in a boat, everything moves. So how easy is it for architects to cross over? As long as they can make the mental shift to working with clients in the highest tax brackets, anything’s possible. Ask Andrew Winch of Winch Design, who made Boat magazine’s list of Top 50 designers, and he’ll tell you superyachts are conceived, above all, with lifestyle in mind. The bulwarks and rigging, interior finishes, and even the ergonomics of where the bedroom light switch will go are all deliberately envisioned and executed to fulfill the dreams of those wealthy enough to afford them. Madame Gu, designed by Andrew Winch and built by Feadship. Courtesy Jeff Brown. Winch started building boats more than 30 years ago. He now operates with four departments in the studio, his primary office a converted 1800s-era fire station in West London, cooled by breezes off the Thames. More than a decade ago, his now 70-person studio expanded beyond yacht design into swanky commissioned architectural projects like a yacht club in Montenegro, couture London residences, and private aircraft designs for Boeing and Airbus. One of Winch’s luxurious designs was for the 302-foot Equanimity, which has journeyed from Cannes, France, and circumnavigated North America. 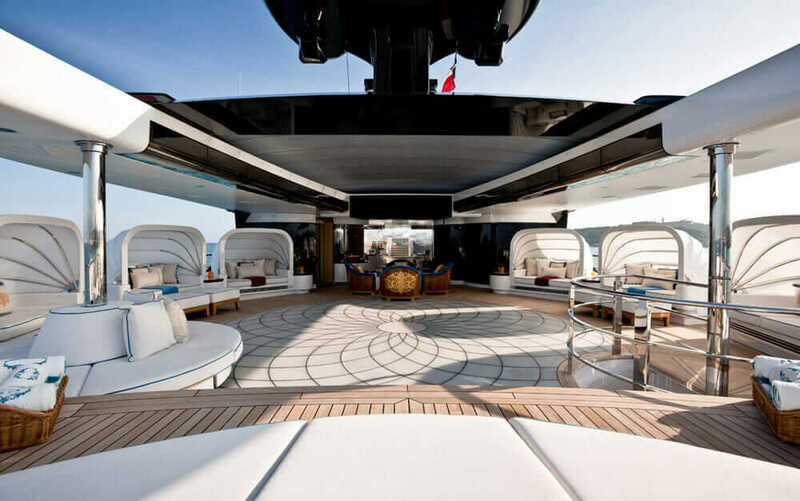 The superyacht shows off touches of wenge wood, gold leaf, bamboo, and marble. 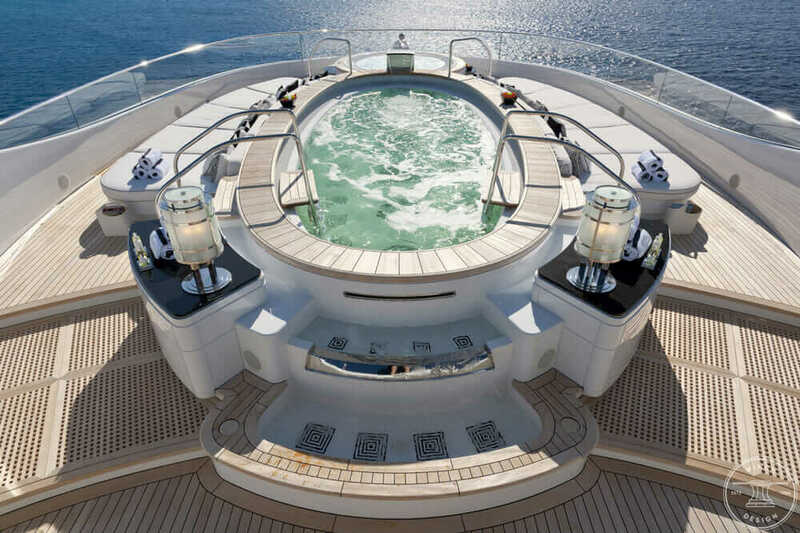 The onboard spa and beach club, according to a recent press release, “is complete with sauna, hammam (or Turkish bath), experiential showers, plunge pool, and multifaceted beauty salon.” As if that weren’t enough, there’s also a gym, a Pilates studio, and a fully certified helipad. You get the idea. Phoenix2, designed by Andrew Winch and built by Lürssen Shipyards. Courtesy Klaus Jordan. That influence is on vivid display in his Nimue 490, a 49-foot gentleman’s day cruiser based on the Protei concept (a shape-shifting sailing robot) by Cesar Harada. The boat calls to mind an electric violin or a stealthy vessel from which Batman might slip out. A clear windscreen stretches over the rear, adding an air of exclusivity for a crew of up to eight. 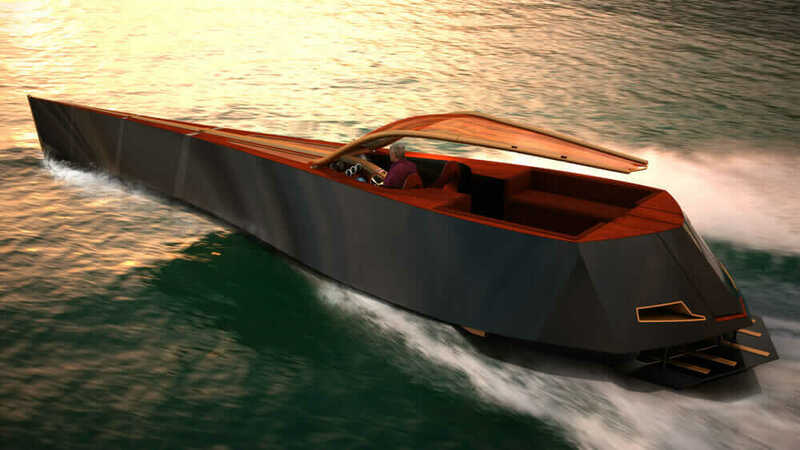 Nimue 490 concept boat. Courtesy Timon Sager. But even for a futurist like Sager, practical seafaring concerns—like water—are nothing to disregard. His tear-shaped “no-resistance” Bairim is designed with efficiency in mind, the hull devised to cut through the tide with minimal drag. “A big issue is water resistance, waves, and the dangers of seas, generally,” Sager says. “The whole interior is in motion all the time. This is important when it comes to windows and perspective.” That’s one reason Sager uses an Oculus Rift to test his designs—drawn in Autodesk Sketchbook and Alias—in virtual reality. But although he’s had a lot of inquiries about his plans to build the boats and even where to buy them, they remain concepts. What resulted was the Cruiser concept series, a set of four convertible boats—the Yacht Cruiser, Sub Cruiser, Fly Cruiser, and Power Cruiser—in which those aboard could host a party, take to the sky, or go incognito. 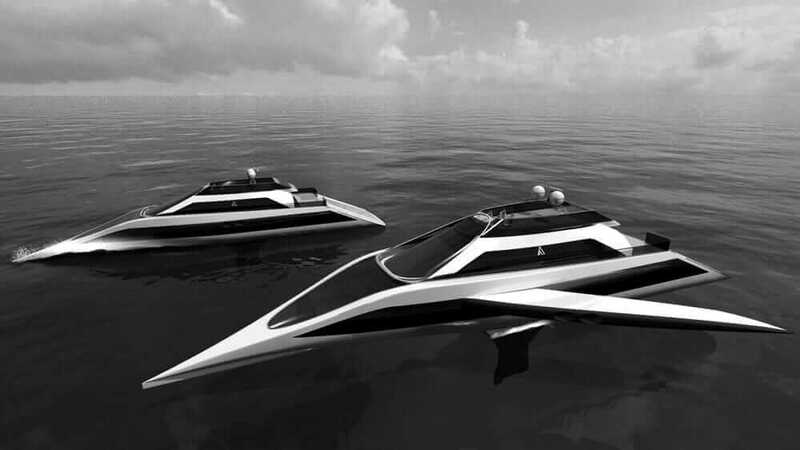 Cruiser series concept boats. Courtesy Phil Pauley. But for Pauley, who in 2014 received a Green Good Design award for conceptualizing the world’s first self-sustaining underwater habitat, designing superyachts was a short-lived exercise. It didn’t stir his blood like other architecture pursuits. “I found that yacht design operates within a much more limited framework, which is perhaps why I haven’t done any further work in this field,” he says. What has made Winch Design so successful—earning Best Interior Design for Al Mirqab at the 2009 World Superyacht Awards and a Showboats Design Award and World Superyacht Awards for Madame Gu in 2014—is listening to clients and translating their ideas to an emotionally resonant level of detail.